Yesterday, KXLY reported on their Facebook page that Delta would be adding seasonal flights to Hartsfield-Jackson Atlanta International AirportToday, we suggest that the Spokane Airport Board and the Spokane City Council prioritize adding new domestic nonstop flights at Spokane International Airport. While the Spokane market is indeed well-served by the combination of Alaska/Horizon shuttle flights to Seattle and the vast array of international and domestic flights available from there, it would behoove local government officials to look for ways to stimulate or subsidize additional nonstop flights to in-demand locations. Having a good number of domestic flights correlates with strong local business activity and economic growth. One can imagine the possibilities. Currently, a large number of barriers prevent companies from locating in Spokane. But new flights could eliminate some of these. For example, add nonstop flights to San Jose (which is closer than Oakland or San Francisco to Silicon Valley giants like Google and Facebook) and suddenly a world of technology investment becomes more possible. Add additional flights to Houston or Atlanta (the current Delta plan only adds one weekly Saturday flight) and international destinations become more in reach. The conversion of seasonal service to Minneapolis and Chicago to full-time service. The addition of service to Dallas, Houston, and/or Atlanta. The addition of service to San Jose. The exploration of additional service to Los Angeles. The exploration of service to Canadian cities like Vancouver and Edmonton. The exploration of service restoration to Reno/Tahoe. What about you? What’s on your wishlist for destinations? Where should Spokane International Airport be focusing its energy? Egnyte is a cloud data services firm offering their product primarily to business customers, including such conglomerates as Home Depot and Ikea. A Silicon Valley cloud computing and data services firm with $30 million in VC funding has opened a Spokane-area office. In a significant expansion, one of only two United States locations outside of Mountain View where Egnyte has chosen to locate an office (they have offices in the U.K. and Poland). And while the location unfortunately is not in the central business district (it’s at the Pring Center at 15404 E. Springfield in Spokane Valley), it still represents a move in the right direction in terms of attracting technology firms and engineers in order to solve our current deficit of young urban professionals. 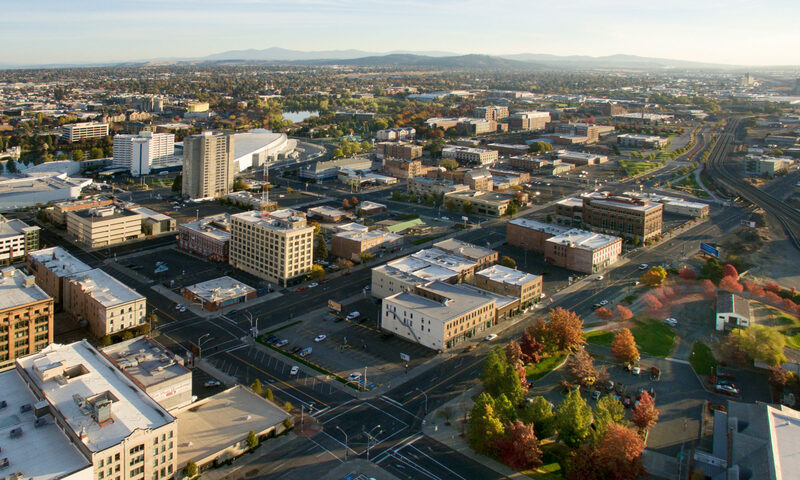 Hopefully this expansion starts a trend of tech companies forgoing growth in expensive areas like Seattle and Denver in favor of smaller cities like Spokane that offer arguably more value. If you happen to be seeking a job and are involved in sales, Egnyte is currently hiring for this new Spokane Valley office. Two positions, a Salesforce.com Developer/Admin and an Account Manager, are open, and you can apply online. Which other technology firms would you like to see open offices in the Spokane area?